It has been ten years since he took the leading role in an action movie and flexed his world famous muscles. Arnold Schwarzenegger is now set to return to the big screen in his first starring role since leaving office as Governor of California. 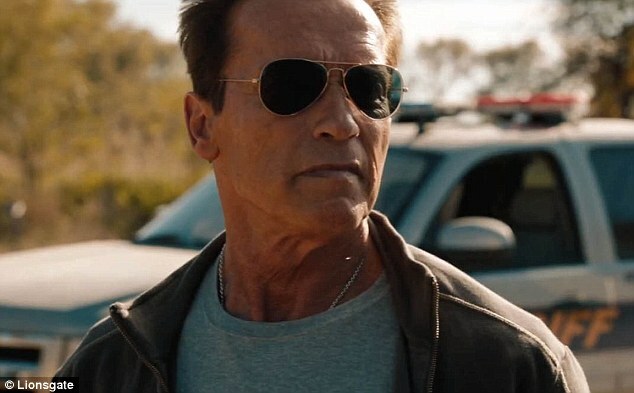 The 65-year-old used to The Expendables 2 as a warm up for him to get back into the swing of things for his new movie The Last Stand. 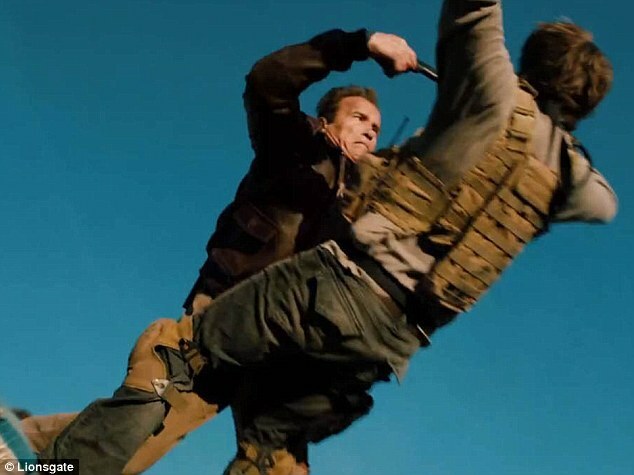 In the first images released of the big budget movie viewers can see Arnie doing what he does best - shooting off his gun and killing bad guys. The movie sees the Terminator star take on a challenging role as a small town sheriff called Ray Owens who keeps his sleepy town protected. After leaving his LAPD narcotics post following a bungled operation that left him wracked with remorse and regret, Sheriff Owens moved out of Los Angeles and settled into a life fighting what little crime takes place in sleepy border town Sommerton Junction. After relaxing in the quiet area, his world is turned upside down and his peaceful existence is shattered when a notorious, wanted drug kingpin makes a deadly yet spectacular escape from an FBI prisoner convoy. With nobody else able to step up to the plate Arnie is the only man ready to fight the good fight and take down the drug kingpin. With the help of a fierce band of lawless mercenaries Cortez begins racing towards the US-Mexico border at 250 mph in a specially-outfitted Corvette ZR1 with a hostage in tow. Cortez's path runs straight through Summerton Junction, where the whole of the U.S. law enforcement will have their final opportunity to intercept him before the violent fugitive slips across the border forever. At first reluctant to become involved, and then counted out because of the perceived ineptitude of his small town force, Sheriff Owens ultimately rallies his team and takes the matter into his own hands, setting the stage for a classic showdown. 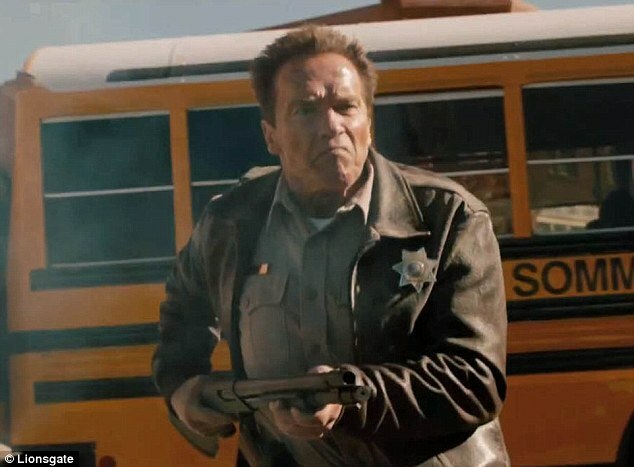 Schwarzenegger may have aged somewhat since his last major film role but the Kindergarten Cop star is still clearly able to blow things up and fire his gun in spectacular fashion. The Last Stand is set to be released in 2013. I'll reserve judgment. Arnie used to be really good at what he did, so we will see if he can adapt his genre to his age. Nobody wants to see a geriatric man fighting dirtbags in his town unless it's Clint Eastwood. I love Arnold's movies. Mindless action and fun usually. I'll see it.